In the newly released remake of “Nightmare on Elm Street” the protagonists try to stay awake to avoid dreaming of the demonic Freddy Krueger. As evident by the high kill-counts in each of the horror film in the series, it turns out they were doing it all wrong. 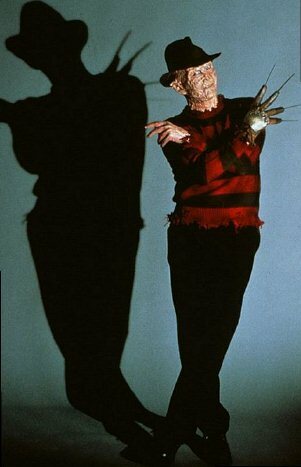 In real life, people who have recurring nightmares about a menacing figure like Freddy should instead see a psychologist or behavioral sleep specialist. They likely have nightmare disorder, a type of parasomnia. Nightmares can occur at any age. Children most frequently get nightmares. Only a small fraction of people who get nightmares have the disorder. Nightmare disorder happens when the horrifying dreams are so frequent it causes you to fear going to sleep. Those who manage to fall asleep end up waking up in the middle of the night terrified. And the nightmares only get more intense as the sleep deprivation adds up. The problems the teenagers in “Nightmare on Elm Street” face fit this description. Only in their dreams they can die. Nightmare disorder tends to run in families. In other cases the nightmares are a side-effect of medications. There are several treatment options available. Counseling is most often recommended. A therapist helps look and confront the thoughts and feelings that are the root cause of the nightmares. Relaxing training may be part of the therapy. Image rehearsal therapy is another option. It’s a form of cognitive behavioral therapy. Patients record their dreams in a journal, and relive them during the daytime. Through practice, the aim is to confront and disarm the unpleasant elements of the nightmare. Coincidently, this is how the protagonists of “Nightmare on Elm Street 3: Dream Warriors” defeated Freddy Krueger. They used lucid dreaming to give themselves magic powers to do battle with the ghoul. Medications are not normally used to treat nightmares. Some researchers believe the drug prazosin can effectively reduce nightmares. The drug treatment would have to be ongoing; nightmares may return after drug withdrawal. If you think you have nightmare disorder avoid watching scary movies, especially any of the “Nightmare on Elm Street” films. Instead find help at an AASM-accredited sleep center or behavioral sleep specialist near you. Sleep and exercise: is the benefit all mental? Are the best and brightest natural night owls?